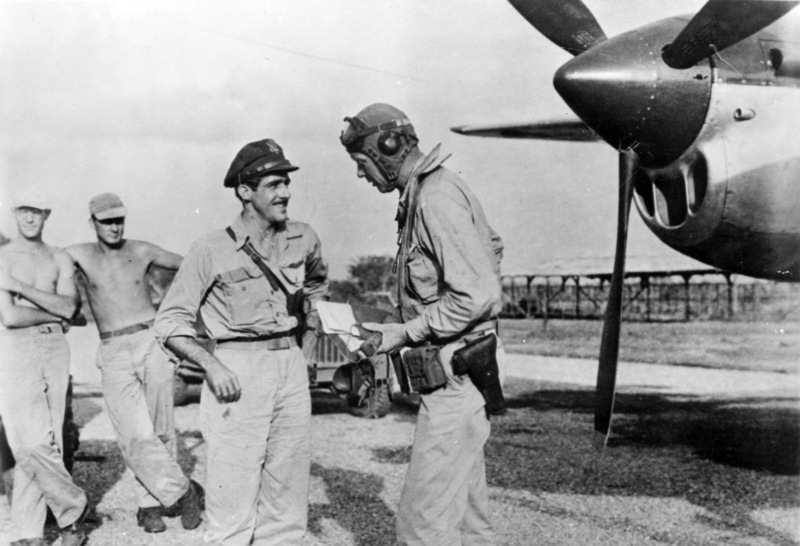 » USAAF Maj Thomas McGuire and Aviator Charles Lindbergh after returning from a combat mission, at Biak Island off New Guinea, Jul 1944. Note P-38 Lightning. Lindbergh helped with economical flight techniques to extend the range of P-38s. This photograph has been scaled down; full resolution photograph is available here (1,800 by 1,229 pixels).